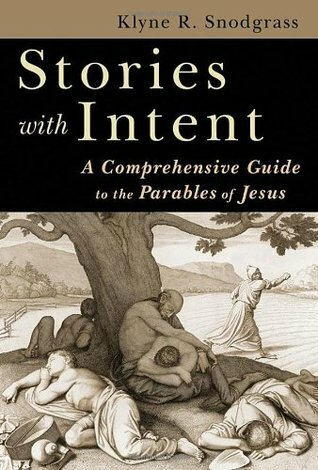 Stories with Intent will probably most appeal to pastors or academics as it goes into more detail the most people will be interested in. He doesn't look at every single parable but looks at different categories of parables and explores the main ones. For each parable, he looked into the main ways that people have interpreted the parable throughout history. He also looked at cultural background information, including quoting sources from around that time period that relate to the topic (like references to procedures for inheritance if the father has not yet died, when studying the Prodigal Son parable). He gets into Greek words and tenses and how this may change how a sentence is interpreted. He talked about if the parable is the same as a similar one in another gospel or if it is not. He favored the more obvious interpretations and the assumption that the parables were really spoken by Jesus. I read the entire thing and, overall, agreed with his analysis and his reasoning. I'd recommend this book to those who want extensive study on parables or simply want this as a reference book. Source: Review copy from the publisher through BookLook Bloggers. Now you can experience Dr. Warren Wiersbe’s lifetime of powerful Bible teaching in one place. Whether through his bestselling “BE Series” commentaries or his popular “Back to the Bible” radio ministry, Dr. Wiersbe has guided millions into a life-transforming encounter with God’s Word. Now, in this single volume, you have access to Dr. Wiersbe’s trustworthy, accessible explanations of the Bible’s truths and promises. NKJV, Wiersbe Study Bible is a New King James version of the Bible with verse commentary taken from Warren W. Wiersbe's "Be ____" commentary series. I have several of the books from this commentary series, and the excerpts are word for word from the book but do not contain the complete book. 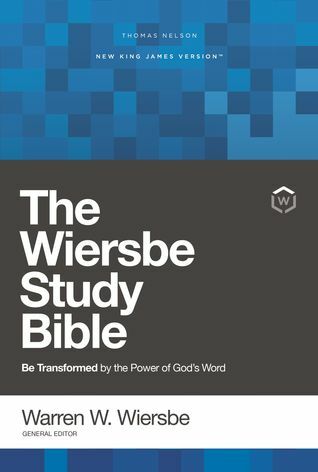 Someone who has read the commentary series will have previously read the commentary that is in this Bible, but someone who has read all of the Wiersbe material in this Bible will not have read everything that is in the commentary series. There was also Wiersbe commentary in the introductory, overview section for each book of the Bible and sidebars that contained Wiersbe commentary upon that part of the Bible. The print in the Bible is bold enough and the pages thick enough that all of the text is easy to read even though the actual size of the Bible text is not notably large (or small). This Bible has full-color maps, concordance, etc. in the back. Wiersbe is a conservative teacher and takes the entire Bible as accurate (including Genesis), so I enjoy having his commentary accessible while reading the Bible. 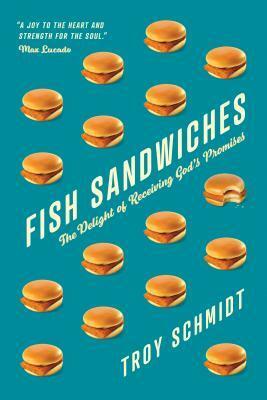 Fish Sandwiches looks closely at what the Gospels say when describing how Jesus miraculously fed 5000 people with bread and fish. The author looked at different aspects brought out by the gospel authors, like the fact that Jesus had compassion, gave provision, did a miracle, involved his disciples, that the people ate until satisfied, how God multiplies what we offer to him, and how Jesus is the true bread of life. The author pointed out things like other instances where God or Jesus shows compassion to the hungry, sick, poor, orphans, widows, outsiders, and sinners. He applied the lessons learned from the feeding of the 5000 to our lives today. The author had a casual, conversational tone and was easy to understand and follow. He made good points, and I'd recommend this comforting and interesting study. 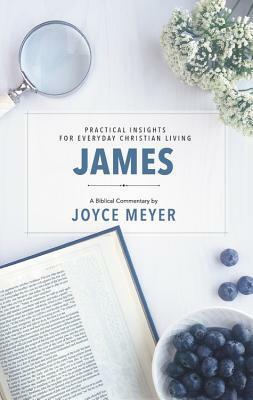 James is a Bible commentary on James that can be used for personal Bible study or even as a devotional. The author provided an amplified version of the verses, doing one to seven verses at a time and working her way through James. She talked about each group of verses and brought out insights to improve our understanding. She stayed focused on the verses rather than telling funny stories, but it wasn't highly academic or difficult to follow. It's written at a layman's level and contained short enough sections that it could be used for daily devotional reading. She included questions for personal reflection along with space to write in your answer. Overall, I'd recommend this to anyone wanting to better understand James. The spoken word has immense potential for either building up or tearing down. Too often, it's the latter. Many of us are daily carrying around hurtful words, sometimes without even knowing it. These negative words have great influence over our lives and the lives of those around us. Mary Busha speaks to the hurting and guides them toward victory over the harmful, demeaning, or insulting words of their past. She shows readers how to understand the emotions and circumstances behind the words, choose to want to forgive their offenders, embrace the truth about who they are created to be, recognize the effect of both negative and positive self-talk, pray effectively to break the power of negative words, and walk in the freedom God provides in his Word. She also encourages readers to find ways to use their own words to lift up the people God places in their path. 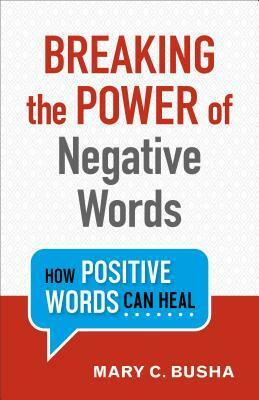 Breaking the Power of Negative Words talked about the impact of using positive and negative words. The author used a lot of stories about individuals who struggled with the things she was talking about in that section. She started by talking about negative words we've heard, especially as a child. She talked about understanding the background of a person who said hurtful words to us and forgiving them for what they said. She talked about believing what Scripture says about us and using prayer to help break free of hurtful words. She talked about not complaining or blaming others for your own words and actions. There was a chapter on finding out what your unique gifts and such are. Another chapter was about committing to using positive self talk. She then moved on to the words we say to others, especially children. She urged us to be aware of the words we're saying and to speak positive words into people's lives. She repeatedly talked about basing our view of ourselves on Scripture (so go search the Bible! ), to have an attitude of gratitude rather than focusing on what's wrong, and forgiveness as a way to freedom from past hurt. It's a decent book, but I have previously read a lot of what she said, so I didn't get many new insights from it. The wisdom of Proverbs sometimes comforts and sometimes confuses. It contains some of our most cherished verses, as well as odd metaphors, and strange pronouncements that can feel cold or even cruel. What we need is a guide—someone who can explain the confusing bits and bring familiar passages to life. This is what the best preachers do, but you don’t have to wait until Sunday’s sermon. Encounter the beautiful depth of Proverbs through an enlightening verse-by-verse commentary from Irving Jensen that’s both straightforward and insightful. 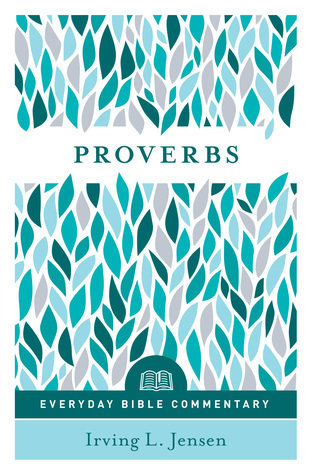 Proverbs--Everyday Bible Commentary is a commentary on Proverbs. The author started by providing an overview of Proverbs by looking at key themes, main topics, background and setting, and an outline. He followed this by working verse by verse through each section, explaining what Solomon was saying. The author didn't provide any insights that I haven't already gotten just from reading Proverbs in my Study Bible. Sometimes, his interpretation of the verse didn't agree with what I've read elsewhere. He occasionally speculated about things not necessary to understanding the verses, and I often found myself disagreeing with what he proposed. I was disappointed that I didn't really get much out of this. However, it was easy to follow what the author was saying. Joyce's first-ever biblical commentary series provides teachings that will help you develop a stronger relationship with God. As you take the time to study His Word, you'll see how much He loves you and who you are in His image. Change will come, and your life will bear the good fruit that God intends! 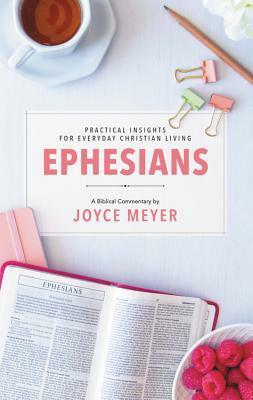 Ephesians is a Bible commentary on Ephesians that can be used for personal Bible study or even as a devotional. The author provided an amplified version of the verses, doing one to seven verses at a time and working her way through Ephesians. She talked about each group of verses and brought out insights to improve our understanding. She stayed focused on the verses rather than telling funny stories, but it wasn't highly academic or difficult to follow. It's written at a layman's level and contained short enough sections that it could be used for daily devotional reading. She included questions for personal reflection along with space to write in your answer. I have read several commentaries on Ephesians lately, and this is one of the better ones, in my opinion. Overall, I'd recommend this to anyone wanting to better understand Ephesians.